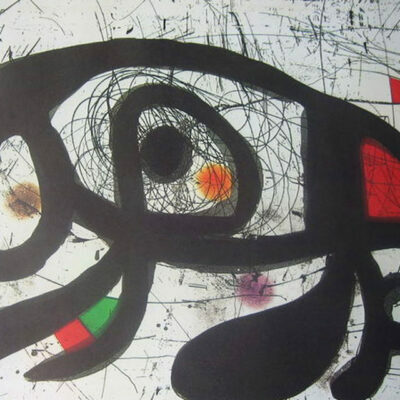 This lithograph belongs to the artist’s book “Joan Miró Lithographer Vol. 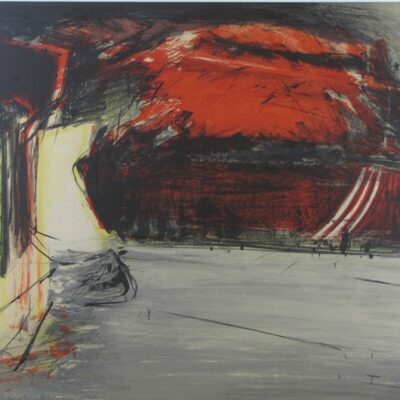 III: 1964 – 1969” by Joan Teixidor, edited by Polígrafa in 1977. 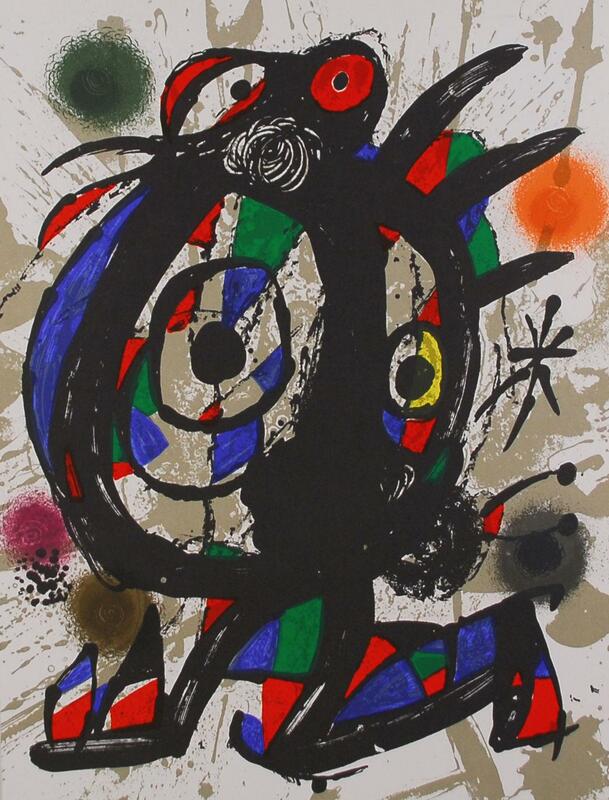 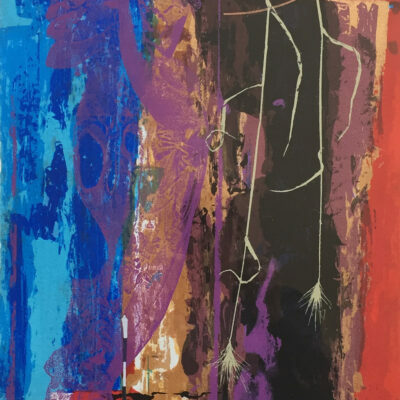 In this luxury edition, Polígrafa reproduces, using the lithographic technique, some of the most important prints that Joan Miró made between 1964 and 1969.